The many writing worlds of scribblemyname are spread out here for your enjoyment. Warning! (UNBOUND) entries are in drafting phase and are likely to change radically before complete. Please, come in and make yourself at home. Read to your hearts content and write me a letter if you feel like sharing. Summary: We all have our dreams. Summary: The children of the Secret Garden. Summary: Pierre Dulaine's class grows up, taking the lessons they learned from dance. Summary: The many threads of the multiverse are ripe for the plucking. Pick a card, any card. Once. Twice. Pick another. It's a house of mirrors. Enjoy your stay. Summary: A series of loosely related one-shots reflecting on the X-Men. Summary: Lives, fates, and time itself lie broken in the hands of the Witness. Summary: Secret military programs, the discovery of adamantium, mutant terrorism, and the development of the Cure all have far-reaching effects that will eventually span the globe and change the face of evolution. Summary: Distance is the only safe path between them. And it only draws them closer. Summary: Domestic life with the X-Men. Summary: Rogue enters into dangerous liaisons with a mysterious Cajun Thief. Both get more than they bargained for. Summary: What if Remy had turned to the X-Men instead of Sinister? Summary: He made her flesh and blood, a woman. Summary: They had all these awesome plans. There were just a few minor issues, like their audience—and each other. Summary: These Southern ladies, they take what they're offered, smile, say thank you. They don't say yes. They don't say no. Summary: Emma's playing matchmaker. Logan wants revenge. Rogue wins a month of slavery from the Ragin' Cajun. Summary: As the governments of the world developed their teams of powerful Alpha-level mutant supersoldiers, international espionage and law enforcement organization SHIELD recruited its own: Omega-level mutants. Omegas are so rare, even Charles Xavier isn't sure if they really exist. But they do. Their lives are about to become intertwined with the X-Men's. Summary: Past collides with the future when old enemies and allies are reunited in a telepathic war. For Shadowcat, Rogue, Gambit, and Pyro, it will change everything they know—and who they are. 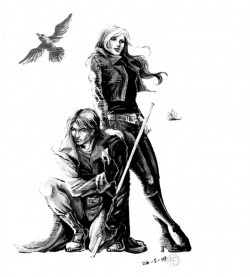 Summary: Rogue and Logan have become a team and a family. He hleps her learn who she is after the Cure destroyed what little control she had. But when the people who once took away Logan's memories accidentally take away Rogue's and a mysterious Cajun Thief rescues her, she is caught up in a worldwide manhunt for Gambit as Logan desperately searches for her. Summary: There's something different about the way he whispers. Summary: This is the home of all my fanfics not granted their own story arc.